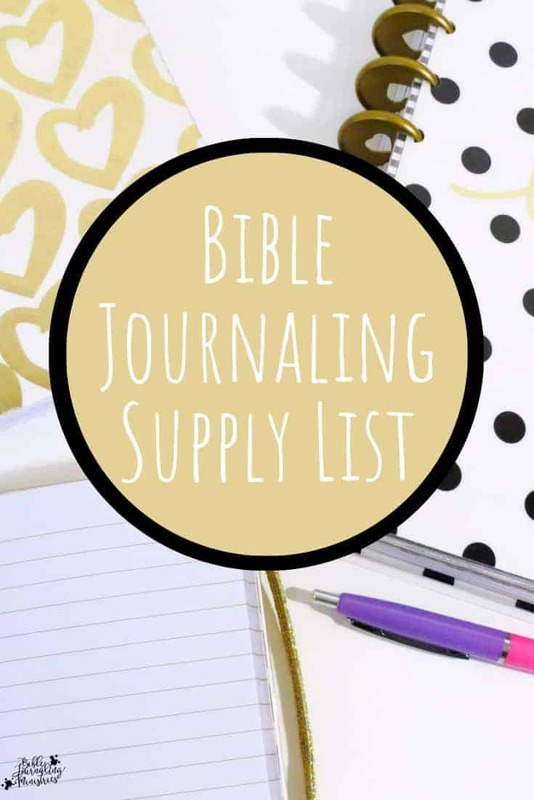 The first thing new Bible journalers ask for is a Bible journaling supply list. But, buying supplies for Bible journaling can become overwhelming and expensive. Don’t worry, you get to choose what you want and what you don’t! There are no rules. You make up your own rules – yay! The only thing you really need is access to the Bible (if you’re reading this post, you have access to many versions online), a piece of paper and a pencil. Of course when I say this many of my Bible journaling friends roll their eyes at me and tell me to go on. Here are a few supplies that I recommend when you’re just getting started. Use a coupon at your craft store if you can! If you’re shopping online and make a purchase via our links, our ministry will receive a small commission. 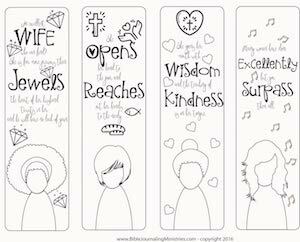 Thank you for supporting our mission to help others grow in the Word creatively. I always recommend that you start with our free beginner’s course so you don’t overbuy on supplies. Shipping labels to use as stickers – These are the ones that I use that I’ve tested with my ph pen. Based on the test, I believe they’re acid-free. http://amzn.to/2vf7nZT (I purchased from seller named Universal Labels) and http://amzn.to/2wmWHIw. Acrylic paint – I don’t have a brand to recommend yet. I use Artist loft in 48 pack of small tubes. A little goes a long way. Remember, when you go to the store armed with your Bible journaling supply list, remember that you don’t need everything today. Be patient and enjoy the journey one item at a time! I am very new and just getting started to bible journaling . I have looked at many of the journal bibles, but I’m so overwhelmed on which one to get. I see several that I do like and then I tell myself “oh but I like this one” and the story cont. I wondered if there is any bibles you would recommend? I’m so looking forward for my journey! Thank you so very much!